"Every blessing ignored becomes a curse”. "When a person really desires something, all the universe conspires to help that person realize his dream"
This must be one of the most profound spiritual novels that I’ve ever come across. The brazillian author - Paulo, lucidly conveys the essence of mysticism through the journeys of a young boy. The Sophia of a universal language is delivered to the reader with utmost simplicity. The story of a young Andalusian boy, *ahem*, being led to seek the inner meanings of life, strikes deep chords and parallels with the moments of light and torrents of darkness that I’ve had to sail over and across. 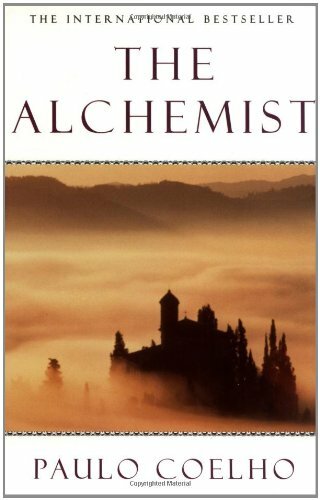 The Alchemist reaffirms what I’ve learnt about the auspicious signs; the very motifs that help me to understand the inner truths of what has "been written”. Out of all of Paulo Coelhos books i must say that this book is the best by far, i dont think his other novels have lived up to this one. It has a beautiful richness of culture and even has something for those who are sceptical. Glad you mentioned it here.